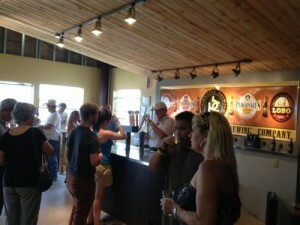 Pedernales Brewing Company, opens their tasting room ever Friday from 3 to 5 pm and Saturday from 1 to 5 pm. There are tours every hour. Shirts and hats are also for sale. After a long morning of Wine Tours, top it off with a brewery tours! Pedernales Brewing Company is at 97 Hitchin’ Post Trail just south of Fredericksburg on US Highway 87 South. Look for the flags on your left. Call 830-998-7486 for details. Closed in the event of rain.